Over 500,000 vehicles have been the subject of a recent automotive recall by Kia due to s air bags that might not function in a crash. Hyundai, Kia’s fellow Korean auto manufacturer, has also had to recall a number of their vehicles for the same reason. All told, the total between Kia and Hyundai involves over 1.1 million vehicles linked to the air bag issues, Unfortunately, at least four fatalities have occurred, along with at least six injuries, due to the defective air bags. 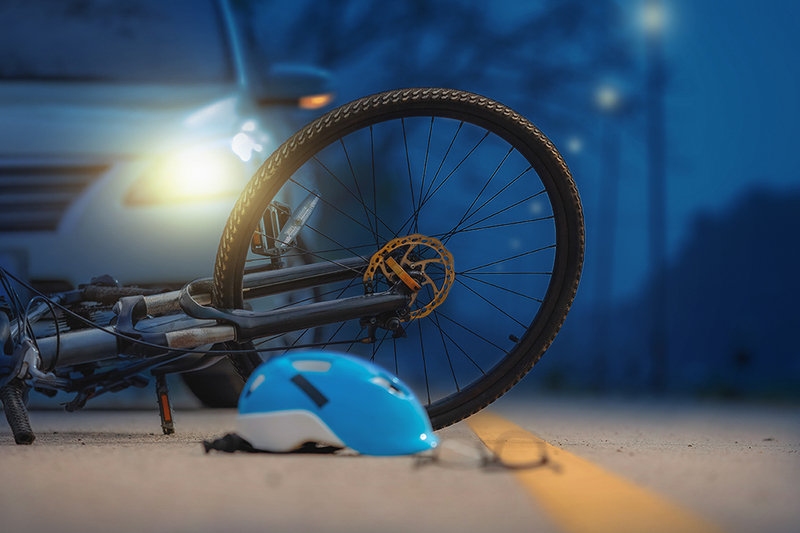 The National Highway Traffic Safety Administration responded to problem reports in March of 2018. The specific vehicles subject to the recalls include 2010 to 2013 Kia Forte compact cars; 2011 to 2013 Kia Optima midsize cars, and 2011 to 2012 Kia Optima Hybrid and Sedona minivans. The affected cars for Hyundai include the 2011 to 2013 Hyundai Sonata midsize cars and the 2011 to 2012 Hyundai Sonata Hybrid cars. The air bag malfunctions are being worked on by both auto makers, and government documents have cited short circuits developing in air bag control computers made by parts supplier ZF-TRW. There are also investigations going as to whether other auto makers use the same or similar ZF-TRW air bag computers to determine whether additional recalls are needed. 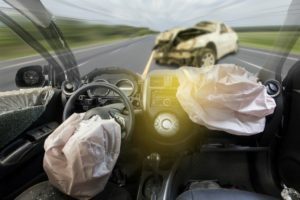 If you or a loved one has been injured as a result of these defective air bags, or other automobile or product defects, do not hesitate to contact Inserra Kelley Sewell, Personal Injury Attorneys where our compassionate professionals can advise whether you may be entitled to compensation for your injuries. There is a new alert out on Salmonella dangers with Kellogg Honey Smacks cereal and melon (honeydew, cantaloupe, fruit medley products) sold precut in stores. UPC numbers for the Honey Smacks is 380039103 (outside United States) and 3800014810 with “Best If Used By Date” June 14, 2018 through June 14, 2019. So are there has been 73 consumers fall sick from salmonella with the cereal, with 44% of that number needing hospital admission. Kellogg’s has recalled the batch numbers above and ask consumers to throw the product away. The pre-cut fruit was produced at Caito Foods facility in Indianapolis, Indiana. The companies recalling this product include Caito, Costco, Delish, Gordon Food Service, Kroger, Jay C, Open Acres, Owen’s, Payless, Renaissance Food Group, Spartan Nash Distribution, Sprouts, Trader Joe’s, Walgreens, Walmart, and Whole Foods/Amazon. Reports of salmonella illnesses from this cut fruit include 6 in Illinois, 11 in Indiana, 32 in Michigan, 10 in Missouri, and a single instance in Ohio so far. Illnesses started anywhere from April 30, 2018 to May 28, 2018. Salmonella symptoms include abdominal pain, nausea, vomiting, and diarrhea. Rarely, salmonella can enter the bloodstream for more severe illnesses that can include arterial infections, endocarditis, and arthritis. 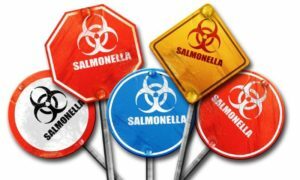 If you or a loved one has been sickened with salmonella infection, do not hesitate to contact Inserra Kelley Sewell, Personal Injury Attorneys where our compassionate professionals can advise whether you may be entitled to compensation for your injuries. Onglyza (containing saxagliptin) is a medication marketed to type 2 diabetes sufferers to manage their symptoms. 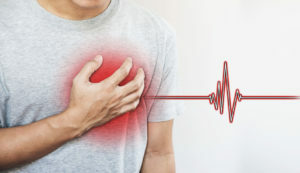 Onglyza has been linked to an increased risk for heart failure (particularly among individuals with type 2 diabetes who also suffer from heart or kidney disease). Those currently taking Onglyza should consult a medical professional prior to discontinuing use of the medication. If you or someone your care for has suffered an injury related to the use of Onglyza, please contact Inserra | Kelley | Sewell, Injury Attorneys for expert guidance and assistance recovering compensation for your injuries. 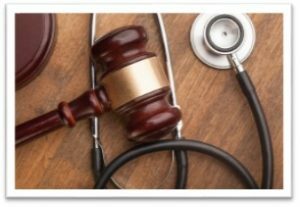 Our experienced team of legal professionals are well-known for getting to the heart of the most painful liability/injury issues that our clients look to us to resolve. Did you know that 62% of motorcycle fatalities occur between May and September? Why is that? May is National Motorcycle Safety Awareness Month for a reason. Favorable weather conditions and a desire to be outdoors encourage motorcyclists to reoccupy their equitable share of the open road by joining other motorists in route to their desired destinations. 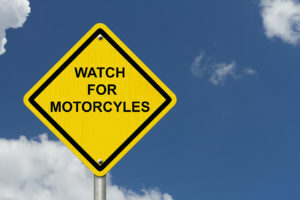 While motorcyclists are entitled to the same rights and consideration granted to drivers of four-wheeled vehicles, the majority of vehicles on the road are not motorcycles. 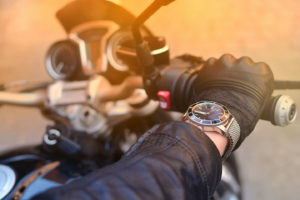 Right or wrong, most drivers rarely think of motorcyclists as drivers (not unlike themselves) that must be regarded with the same caution and deference as other motorists. If drivers and riders pledge to defend common courtesy and regard for all motorists, America’s roadways will be the cathartic and liberating place where drivers and riders can revel in their abandon and passion for the open road. If you or someone your care for has suffered an injury due to a motorcycle collision, please contact the experienced, compassionate professionals at Inserra | Kelley | Sewell, Injury Attorneys. Safeguarding motorists’ wellbeing and quality of life is our passion. We want to protect your right to compensation for your injuries. 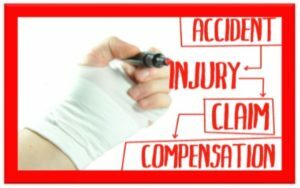 Do I Have Another Claim Besides Workers’ Compensation? If another party’s thoughtless or reckless actions caused your injury, you could have a workers’ compensation claim and a third party personal injury claim at your disposal. Most injury sufferers fail to recognize the intricate complexity of the incident that resulted in their pain and suffering. Specifically, the most critical factor an injured person often overlooks is that their workers’ compensation claim (or personal injury claim) might actually be both. Misinterpreting what kind of claim you have, how many claims you have, and the values of those claims is highly detrimental to an injured individual’s opportunity to pursue compensation for the damages they’ve incurred. Imagine this—your boss sends you on an afternoon errand to FedEx to drop-off a package. On your way to the FedEx shop you are involved in a collision. The driver of the vehicle that collided with you and caused your injuries is responsible for the accident and liable for damages. Simple, right? Wrong. The aforementioned scenario is deceptively basic, and yet it is a perfect example of how an injured individual could mistake an ordinary injury collision as a single claim instead of an incident that encompasses both spectrums of workers’ compensation claims and personal injury simultaneously. If you think that you or someone you know was involved in an incident that resulted in personal injury, but you are unsure of how many claims (or what kind of claim) you have, please do not hesitate to contact Inserra Kelley Sewell, Personal Injury Attorneys. Our dedicated team of attorneys and legal professionals can help you determine– not just the value of your claim—but how many claims you actually have. Unfortunately, too many injury sufferers underestimate the amount of red tape and hoops they have to jump through when they try to take on insurance companies on their own. Our primary goal at Inserra | Kelley | Sewell, Injury Attorneys is to take the worry off your shoulders by doing the hard work for you. If you’re David versus Goliath (in a fight for your right to seek fair compensation for your injuries), it helps to have an experienced legal team in your corner to yield the best possible outcome and to maximize your profits. https://inserra.com/wp-content/uploads/2018/07/inserra-kelley-sewell-omaha-attorneys-logo-2-ssl.png 0 0 Mikala Harden https://inserra.com/wp-content/uploads/2018/07/inserra-kelley-sewell-omaha-attorneys-logo-2-ssl.png Mikala Harden2018-04-26 19:21:392018-06-05 13:29:38Do I Have Another Claim Besides Workers’ Compensation? I Am Injured. Now What? 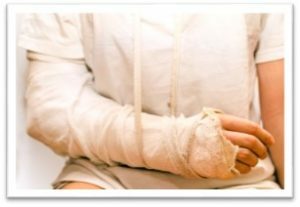 Should I File a Workers’ Compensation Claim or a Personal Injury Lawsuit? When you are injured as a direct result of someone else’s negligence, it can be problematic to discern in which category—workers’ compensation or personal injury—the incident belongs. Educating yourself about the primary differences between the two could alleviate some of the disorienting and puzzling questions that abound when you are injured and don’t know what steps to take next. Unlike workers’ compensation claims, personal injury lawsuits are not specific to a subcategory of people or situations. Anyone who suffers an injury triggered by an at-fault party has the right to file a personal injury lawsuit. To recover damages, however, the injured individual must provide sufficient evidence to support their claim that the other party is responsible for their injury. 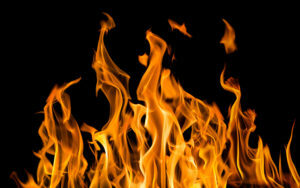 In addition, the injured party must substantiate the validity and monetary value of their claim by specifying the amount of damage incurred to either their property, physical functionality, psychological health, and/or earning capacity (due to lost wages, time off work, or medical incapacitation). While personal injury demands are chiefly compensation based, the injured party also has the right to seek payment for the emotional distress they’ve endured. When an injured person is deprived of their right to live a full life due to a physically debilitating injury, that in turn inhibits their psychological, emotional, and spiritual well-being. Therefore, if applicable, plaintiffs may also demand settlement for “pain and suffering” (in addition to the more prevalent demands for medical expenses, property damage, lost wages, and loss of future earning capacity that injured parties typically request). Workers’ compensation benefits are available to a worker who is injured in the scope of their employment, and no evidence of fault must be provided in order for benefits to be dispensed. The only stipulations of a workers’ compensation claim that must be established are: (a) that the injury was sustained while working and (b) that the injury is associated with the duties the worker executes. Through workers’ compensation, an injured employee receives: non-taxable income compensation of an amount equivalent to approximately two-thirds of their weekly or bi-weekly wage earnings, medical care, recompense for permanent damage, and reimbursement for essential position retraining. If you (or someone you know) has been injured and you are unsure of what kind of claim you may have, please do not hesitate to contact Inserra Kelley Sewell, Personal Injury Attorneys. Our dedicated team of attorneys and legal professionals can help you determine– not just the value of your claim—but how many claims you actually have. Unfortunately, too many injury sufferers underestimate the intricate complexity of the incident that resulted in their painful circumstances. Our primary goal at Inserra | Kelley | Sewell, Injury Attorneys is to lead you through the baffling maze of personal injury litigation so that you can focus on healing, recovery, and a return to living a full, balanced life. https://inserra.com/wp-content/uploads/2018/07/inserra-kelley-sewell-omaha-attorneys-logo-2-ssl.png 0 0 Mikala Harden https://inserra.com/wp-content/uploads/2018/07/inserra-kelley-sewell-omaha-attorneys-logo-2-ssl.png Mikala Harden2018-04-26 19:17:202019-01-31 09:44:05I Am Injured. Now What? Should I File a Workers’ Compensation Claim or a Personal Injury Lawsuit? R.J. Reynolds Co. has issued a massive safety recall of approximately 2.6 million power units for its brand of Vuse Vibe electronic cigarettes. The nationwide recall was released last week following numerous consumer reports that battery malfunction was causing power units to overheat, posing a potentially injurious fire risk. While no injuries have yet to be reported, R.J. Reynolds Co. has recommended that owners of the Vuse Brand of electronic cigarettes discontinue use of the product and (furthermore) that users refrain from charging the power units. If you or someone you know has been injured by a Vuse e-cigarette power unit malfunction, please do not hesitate to contact Inserra Kelley Sewell, Personal Injury Attorneys. Our compassionate and competent team of legal professionals are dedicated to providing you with answers about your potential claim. A self-driving Uber vehicle—with a human safety driver behind the wheel in case of emergency—struck and killed an Arizona woman on Sunday, March 18, 2018. The victim, identified as 49-year-old Elaine Herzberg, is the first known pedestrian fatality caused by an autonomous vehicle. According to preliminary reports, the self-driving vehicle was traveling approximately 40 mph in a 35 mph zone. At the moment of impact, the vehicle was in autonomous mode and did not slow down prior to the collision. (Autonomous mode means that the vehicle was driving on its own at the time the crash occurred. A human safety driver sat behind the wheel as a precaution.) The unsuspecting pedestrian was walking along the crosswalk with her bicycle when she was struck by the self-driving Uber SUV. The human safety driver exhibited no signs of impairment following the tragic collision. The accident occurred at night (at approximately 10:00 PM) and no inclement weather was involved. Herzberg’s death is an ominous reminder that self-driving technology is still in its infancy. Meanwhile, state governments are grappling with how to best regulate robotic car testing while posing minimal risk to the public. However, the clock is clicking towards 2020 as driverless car related injuries, accidents, and fatalities continue to mount. 2020—it is the year purported to be the timeframe of large-scale deployment of self-driving vehicles on American roads. Uber is not the only company experimenting with driverless technology. Google, Samsung, Volvo, Tesla, and BMW—just to name a few—are among a burgeoning list of tech companies and automakers that are exploring and actively testing driverless vehicles on the roads right now (particularly in states like Arizona and California where inclement weather is less of a concern and there are less regulatory hurdles to overcome). Earlier this March, Arizona Governor Doug Ducey revised an executive order allowing self-driving vehicles to drive on state roads without a safety test driver behind the wheel. California is poised to follow suit in April by also allowing companies to test vehicles on the road without a person in the driver’s seat. As companies, like Uber, race to create the safest and most advanced autopilot technology, vulnerable road users—such as pedestrians, cyclists, vehicle drivers and their passengers—are at risk of colliding with robotic vehicles that fall short of their expectation to adjust for the volatility, complexity, and unpredictability of the human driving experience. Can artificial intelligence really be taught—as human drivers are—to account for every possible instance in which human lives are at stake? Can such a safety automotive wonder ever really be entrusted to respond with the same speed and pragmatism that the human mind possesses? While the answers to these questions are elusive, it is important to contemplate not just how your life—but the lives of your loved ones—could be jeopardized by a growing industry of self-operating vehicles that tech companies and automakers worldwide envision to assume control of the roads in mass numbers over the decades to come. If you or someone you know has been injured by a self-driving vehicle, please do not hesitate to contact Inserra Kelley Sewell, Personal Injury Attorneys. Our compassionate and competent team of legal professionals are dedicated to providing you with answers about your potential claim. At Inserra Kelley Sewell, your health, safety, and peace of mind are the reason we do what we do. Let us help you and keep you driving safely as the list of potential road dangers becomes more daunting and driverless vehicles prepare to inherit the road in droves. Recently, this firm put out a first ever informational blog to let readers know that their beloved dogs could be in jeopardy due to the dog food they are consuming. Already, there is another instance impacting the beloved canine members of the family, so we wanted to get the word out again for our readership. 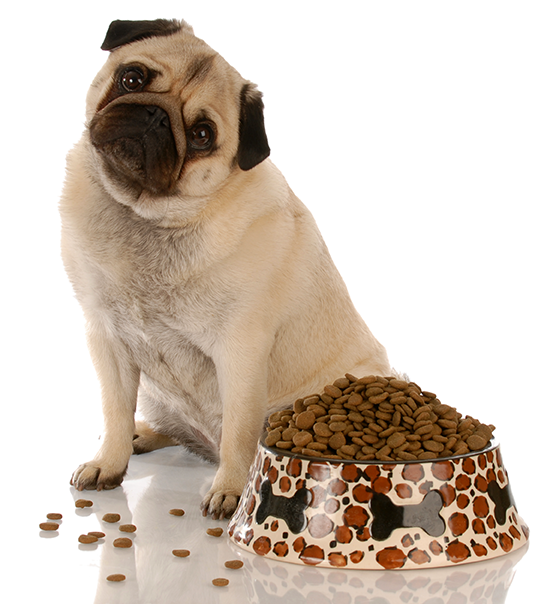 The U.S. Food and Drug Administration (FDA) has done an investigation with findings that popular brands of dog food contain a euthanasia drug! Smuckers owns the brands with the dog food brands and has already voluntarily withdrawn the products. The brands are Gravy Train, Skippy, Ol’ Roy, and Kibbles ‘N Bits. A large number of stores, including 4,700 Walmart stores, are pulling the dog foods from their shelves. Current standards for dog food labels do not make it likely that pet owners will know what is truly being fed to their beloved furry friends. Smuckers was violating federal law that does not allow any level of euthanasia drug, pentobarbital, to be included in a pet food product. Smuckers is not answering questions on how the drug got into their dog foods, leaving investigators to wonder whether the manufacturer is using dogs for its food that have been euthanized with the drug. Until the company answers questions, this is what some would assume and that’s a very unpleasant possibility for the pet owner to take in. The bottom line is that consumers return any of these brands they have in their home to the store where it was purchased, and that their personal veterinarian be contacted for dogs that have already consumed the product. Inserra Kelley Sewell, Personal Injury Attorneys, strives to keep its readership aware of potential dangers to themselves and their loved ones in this society ripe with product dangers and recalls. In this case the danger is to the beloved furry member of your family. Do not hesitate to contact this firm for advice on possible avenues to compensation. 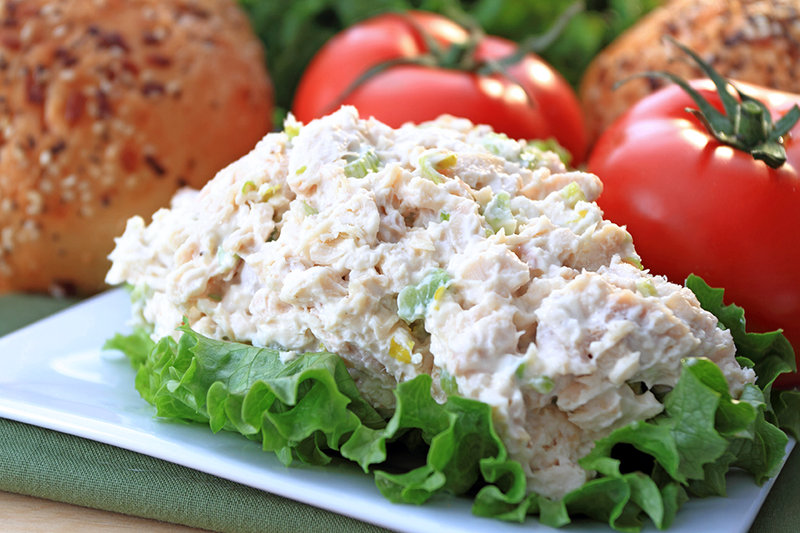 There is a new alert out from the U.S. Department of Agriculture’s Food Safety and Inspection Service (FSIS) on Salmonella dangers with chicken salad made and distributed by Fareway grocery stores based in Iowa. Fareway distributed the subject chicken salad, made between December 15, 2017 to February 13, 2018, to their out of state locations as well as those in Iowa. This includes Iowa, Nebraska, South Dakota, Minnesota, and Illinois Fareway stores. Illnesses have been reported of Salmonella infection, which can include what is called Reactive Arthritis and/or Irritable Bowel Syndrome. The most common symptoms with foodborne Salmonella illness includes diarrhea, abdominal cramps, elevated fever 12 to 72 hours after consumption, and these symptoms can be severe and cause the need for the consumer to be hospitalized. As in many illness, there are populations especially vulnerable for more severe reactions, such as the elderly, people with suppressed immune systems, and young children/infants. Salmonella infection generally lasts 4 to 7 days and most people do recover, barring complications. Consumers with any size deli container holding Fareway chicken salad, of various weights, should not consume the product, according to the FSIS and Iowa Department of Health. It is recommended the product be thrown away or returned to the Fareway where it was purchased, and if you or a loved one has consumed the product, contact your medical provider immediately. Do not hesitate to contact Inserra Kelley Sewell, Personal Injury Attorneys where our compassionate professionals can advise whether you may be entitled to compensation for your injuries.